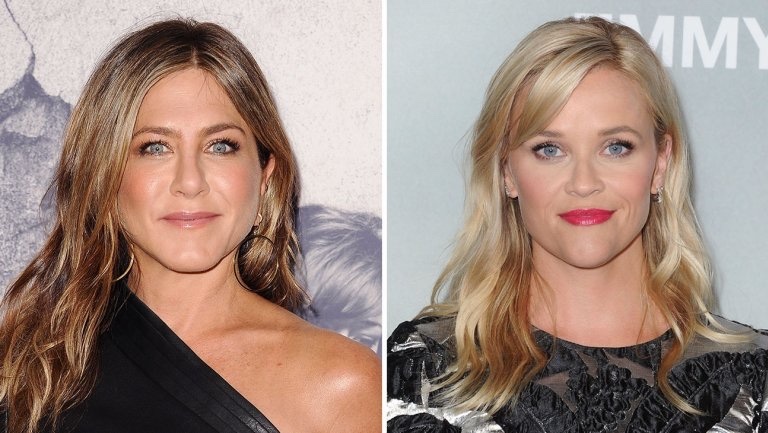 Apple is paying Reese Witherspoon and Jennifer Aniston "upward of $1.25 million" a piece for each episode of their upcoming morning talk show drama series, reports The Hollywood Reporter. The show, which is based on Brian Stelter's non-fiction book "Top of the Morning: Inside the Cutthroat World of Morning TV" explores the drama-filled lives of the men and women who star on morning talk shows. Witherspoon and Aniston's $1.25 million salary per episode includes fees for executive producing and points on the show's backend, as both are serving as executive producers on the series. Apple has already ordered 20 episodes of the show, split into two seasons. Witherspoon's high salary on Apple's new television show drove up the price of her salary on the second season of HBO's "Little Big Lies," for which she will receive $1 million per episode. One Hollywood agent told The Hollywood Reporter that if HBO matches Apple's price, "it inflates the whole ecosystem of TV actor salaries." HBO programming president Casey Bloys wasn't as concerned, though. "It's not a shock to anybody that having a second season of an ongoing series is easier to have with those deals in place," HBO programming president Casey Bloys tells THR. "Every outlet has to make their own decisions about economics that make sense for them. I'm not going to shake my fist and say, 'Darn it, Apple!' If that's what made sense for them for that show, God bless." In addition to the morning show drama, Apple is working on two other TV shows with Witherspoon's Hello Sunshine production company with Witherspoon serving a executive producer. One is "Are You Sleeping," a psychological thriller starring Octavia Spencer, while the other is an untitled comedy series starring Kristen Wiig. While female actors deserve the same pay as a male actor, no actor deserves that kind of money. Lets get a little perspective. Actors don't really do not work that many hours or contribute that much to the product to deserve such high salaries compared to other employees working on the project. There are many people involved in the creation of a show/movie. Most of them work year round, many of them more than 60 hours a week. the majority of the production time, the actors are standing or sitting around waiting for the sets and camera work to be prepared. Apple is so out of touch with what people want. I wish Apple had just stuck to making best-in-class software that runs on great hardware. I have yet to hear a single person say, "You have to check out this awesome show on Apple Music!" (which sounds like a stupid thing to say, to begin with.) People have told me I have to check out a cool new show on Netflix or Amazon Prime Video more times than I can count, but I've never heard anyone get excited about an Apple-exclusive show. Maybe this will be the show that turns the tide, but I'm not optimistic. Good. These women deserve every cent any male actor would make. What does your statement have to do with the article apart from you chiming in on an unrelated current event? The article says nothing about any male actors. If there are some, how do you know they are being paid the same? Personally, I don't think it anyone's business how much someone makes, but when they feel they have to make it public, people feel the need to judge. Considering it takes me 10 years to make as much money as each of them will make in a week, I can't say it's deserving. But then neither are sports salaries--9 figure salary for a pitcher on a baseball team? Most of them work year round, many of them more than 60 hours a week. the majority of the production time, the actors are standing or sitting around waiting for the sets and camera work to be prepared. I guess no-one told them life was gonna be that way. Well, I suppose you have to blow your cash somehow. Remember, though, it's the actors (and sports players for that matter) that encourage people to pay for the entertainment. The actors have a value that make money for someone, hence the large paycheck. The grips, gaffer, etc., are replaceable by anyone with the skills.... in other words: no one buys a ticket or watches a show because of a certain person doing the lighting work. The problem is, less and less people can "pay for the entertainment". It can easily cost over $300 for a family of four to park and go watch a baseball or football game. Why are ticket prices so high? Could it be to pay the ridiculously high salaries? Thanks MacRumors for finding the absolute worst picture for both women. Both of these women are beautiful, but those pictures made me cringe.